A live video feed was available at beer.jeremytubbs.com where online visitors could purchase a code to activate the machine. 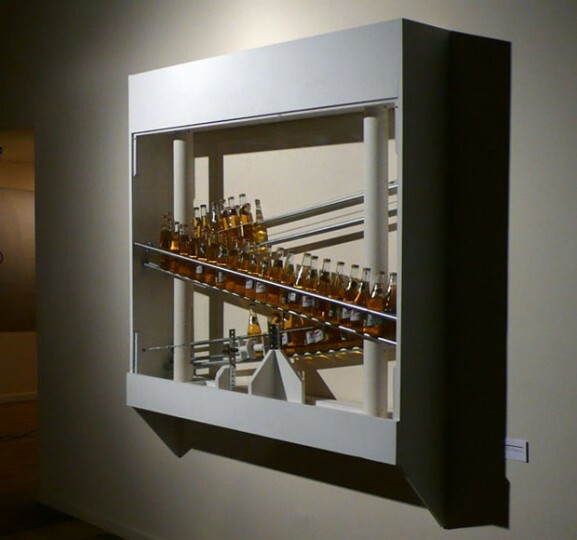 The machine in this way could produce “Free Beer” during the Select Media Fest exhibit. 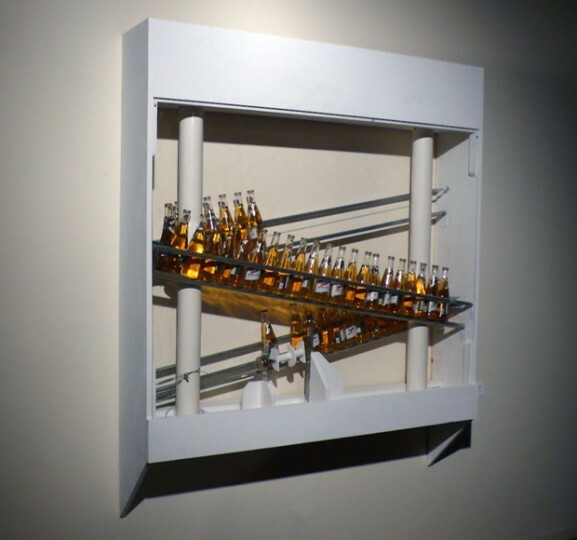 The project presents an updated web 2.0 version of Tom Marioni’s “Free Beer (The Act of Drinking Beer with Friends is the Highest Form of Art)”, 1970-1979. Look for a revamped and smaller version of this project in May 2012 that will become an monthly “artwork in residence” of various Chicago based artist studios.